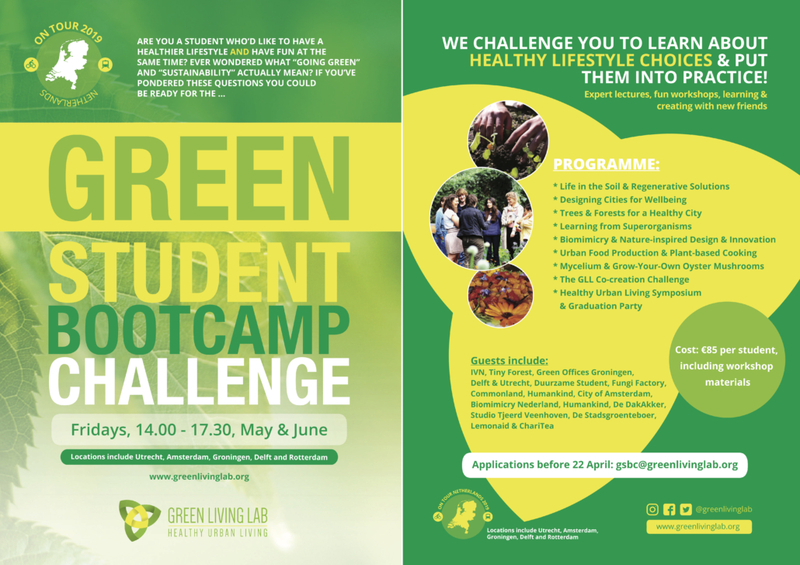 The Green Student Bootcamp Challenge Netherlands Tour comes to Groningen on Friday 10 May and Green Office Groningen is hosting! They have an exciting session planned for participants, showcasing some of the special gifts nature offers: inspiration & wellbeing. See the content of the session below, as well as info on how you can participate & book your space. Students from all universities are welcome to join, with 20 spaces exclusively reserved for University of Groningen students. Tour: A meeting with product designer Studio Tjeerd Veenhoven to hear how he is inspired by the natural world to develop sustainable products including AlgaeFabrics, a raw textile material made from algae, and PalmLeather, a plant-based replacement for animal leather, plastic and rubber. Interactive lecture: Links between pro-environmental behaviours and well-being, by Steph Johnson-Zawadski, Environmental Psychology PhD, University of Groningen. Green Living Lab Workshop: Seed Balls. We’ll roll up our sleeves and make seed balls with native herbs and flowers to cheer up grey urban environments for people and pollinators. – University of Groningen: €5 per student. Please contact Green Office Groningen to book your space. – Other students: €17,50 each.